Gone are the days of trick-or-treating for endless hours and coming home with a bag of treats almost too heavy to carry . Ok, maybe those days aren’t gone but many people are opting for healthier choices these days, and experiencing many health benefits. When Halloween comes around each year, many parents struggle to maintain the healthy habits that they have helped their children develop. Parents don’t generally want to be viewed as “Halloween Scrooges,” yet they want to limit the sugar that their kids eat. Too many kids still eat more sugar than ever. This leads to a high consumption of high fructose corn syrup (also known as jet fuel for the body), which is known to be a leading contributor to childhood obesity. High fructose corn syrup is made from genetically modified corn and enzymes and devoid of nutrients. Reducing the amount of high fructose corn syrup that your children consume should be a priority. The key to a healthy Halloween is compromise. Kids are exposed to so much media hype and so much peer pressure that they can be easily lured into making unhealthy choices when it comes to snacks. Compromise with your kids and allow a small amount of the highly-coveted sugary stuff in exchange for several good choices. By allowing small amounts and monitoring the consumption of sugary snacks carefully, you can help prevent obesity and tooth decay, as well as many other potential unhealthy side effects—while keeping your kids happy. Parents should be prepared for a possible negative reaction from their kids when they first start to limit the Halloween candy. Some parents opt to allow small amounts of Halloween candy for the first few days after the holiday and then simply throw out the leftovers. Some parents opt to store some candy in the freezer, so that it can be enjoyed at a later date and spread out over a longer period of time—this helps to avoid the possibility of binging right after Halloween. Fortunately, there are plenty of options when it comes to limiting Halloween candy for your kids. While it may seem “unfair” or “mean” to your kids, parents are responsible for helping children learn to make healthy choices. Rather than pile on the candy, find some fun and healthy Halloween recipes that incorporate fruits and veggies instead of candy—yet make them in fun eyeball shapes or design a healthy “graveyard” using hummus, guacamole and plenty of cut up veggies for tombstones. When you can make healthy foods fun, you will find that your children are more likely to choose them. Feed your children a healthy meal before they head out for trick-or-treating, this will help prevent them from eating the candy simply because they are hungry. 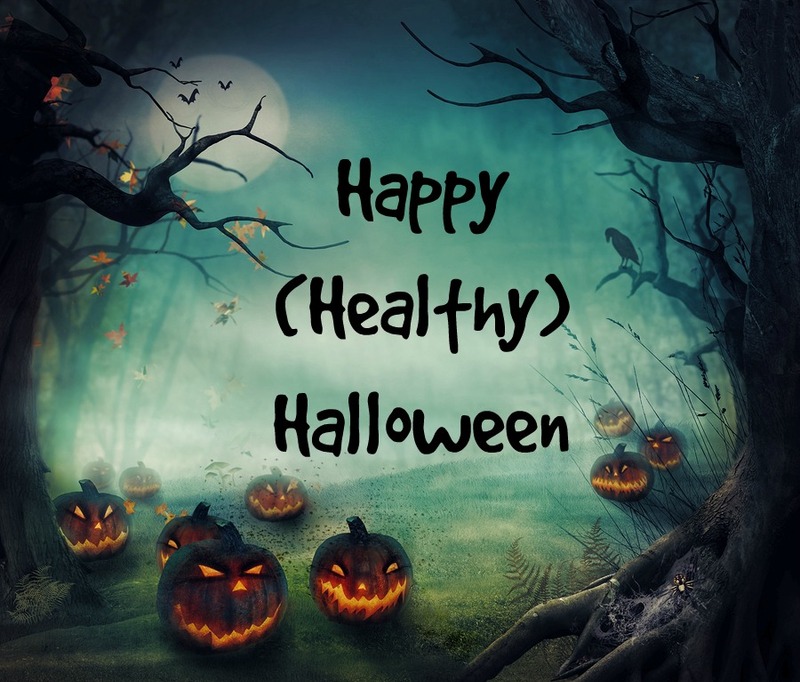 These are only a few suggestions to help make Halloween a little healthier for your family! Most importantly, remember that everyday healthy choices make for the healthiest kids, and the occasional slip-up or indulgence is not the end of the world—just make up for it with extra healthy choices afterwards! Try out these fun healthy Halloween treats for the big and little kids! Flatten two dried apple rings to form one pair of eyes using the palm of your hands or a flat bottomed bowl or glass. Slice a dried apricot through the middle, making two circular halves. Press one half, sticky side down, onto each apple ring over the hole. Cut raisins in half and press one half on each apricot to make the pupils. Peel the green rind entirely from a small seedless watermelon, to expose the inner white rind. Slice the bottom of the melon to make a flat surface. Using a toothpick, carve squiggly lines in the melon to look like the furrowed surface of a brain. Using a paring knife, carve the lines into shallow channels that reveal the pink flesh underneath the rind. What Can I Do With All This Pumpkin? Pumpkins here, pumpkins there, pumpkins just about everywhere!!! As soon as the leaves start to change colour and fall is in the air pumpkins start popping up – on doorsteps, front porches, in grocery stores, kitchens, on social media, everywhere I look I see pumpkins. I know they’re great to make jack o’lanterns out of (a tradition that my husband takes very seriously) and 99% of the pumpkins marketed in North America are used for this purpose but this variety are often too stringy to eat. Sugar or pumpkin pie pumpkins are a smaller variety that are sweeter and a better choice for cooking. 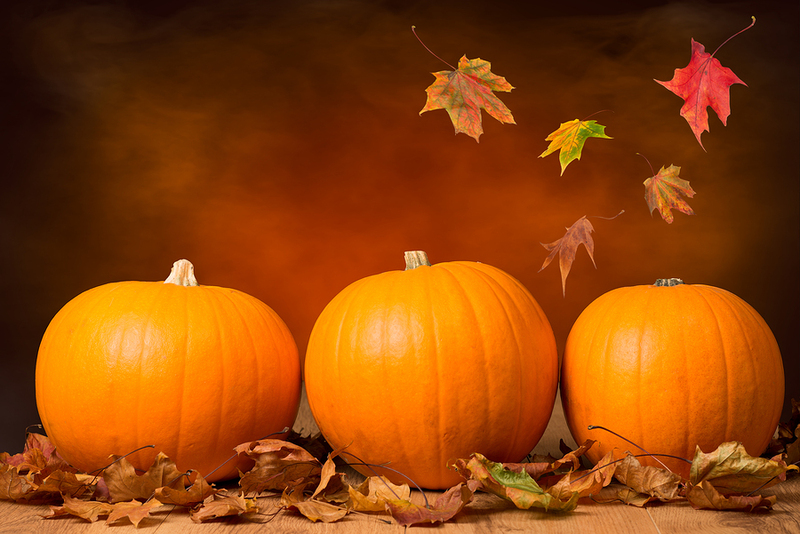 Pumpkins are in fact a fruit and part of the Cucurbitaceae family along with cucumbers, squash, canteloupes and gourds. Pumpkins are super nutritious, low in calories and they provide you with fiber, zinc, B vitamins and antioxidants such as vitamins A, C & E so instead of just using them for Halloween decorations, try one of my 3 favourite ways to use pumpkin. 1. Pumpkin puree – it’s really simple to make, just put the whole thing in an oven safe dish and bake for about an hour at 400 degrees. Remove from oven, cut in half and scoop out the seeds then scoop out the flesh. Put the flesh in a food processor and puree (adding a little water if you prefer a smoother texture). You can add this to smoothies, muffins, pancakes, soups and much more. If you can’t use it all at once it freezes really well. Add all ingredients to blender and blend until smooth and enjoy! 3. Pumpkin, Spice and Everything Nice Muffins – these are my favourite muffins from the Looneyspoons collection. Preheat oven to 375 degrees F. Spray 12-cup muffin pan with cooking spray and set aside. In a large bowl, combine first 6 ingredients (flour, whole wheat flour, pumpkin pie spice, baking powder, baking soda and salt). Set aside. In a medium bowl, whisk together pumpkin, yogurt, maple syrup, butter, egg and vanilla. Tip: Melt butter in a ramekin in the microwave for 15+ seconds. Stir in carrots. Add wet ingredients to dry ingredients and stir just to moisten. Fold in chocolate chips and walnuts. Batter will be thick. Divide batter evenly among 12 muffin cups. Tip: wipe the surface of the muffin pan clean of any spatter or oil for more even cooking. Bake for 20 to 22 minutes, until wooden pick inserted in the centre of the muffin comes out clean. Bonus Tip: Don’t forget about the pumpkin seeds, they are a great source of protein, zinc, omega-3 fatty acids and antioxidants. Whole roasted, unshelled pumpkin seeds contain about 10mg of zinc per 3.5 ounces and shelled roasted pumpkin seeds (which are often referred to as pumpkin seed kernals) contain about 7-8mg. Just rinse & dry them, season with salt, pepper and some spices such as chilli powder or tamari, place on a baking sheet and bake at 160 degrees for 15-20 minutes. The gut is often referred to as the second brain and approximately 70% of your immune system is found in your gut so it is REALLY important that we look after it and treat it with love and kindness. Here are my top 5 ways that you can be kind to your gut. Eat fermented foods and probiotics It’s a good idea to supplement with a probiotic to boost the good micro-organisms in your gut and improve digestion, vitamin absorption and immunity. But eating Activia yogurt isn’t enough to get your belly dancing like the advert. Eat other fermented, probiotic-rich foods, such as sauerkraut, kefir and miso. It’s especially important to consume probiotics for a month or two after a round of antibiotics to replenish the good bacteria. 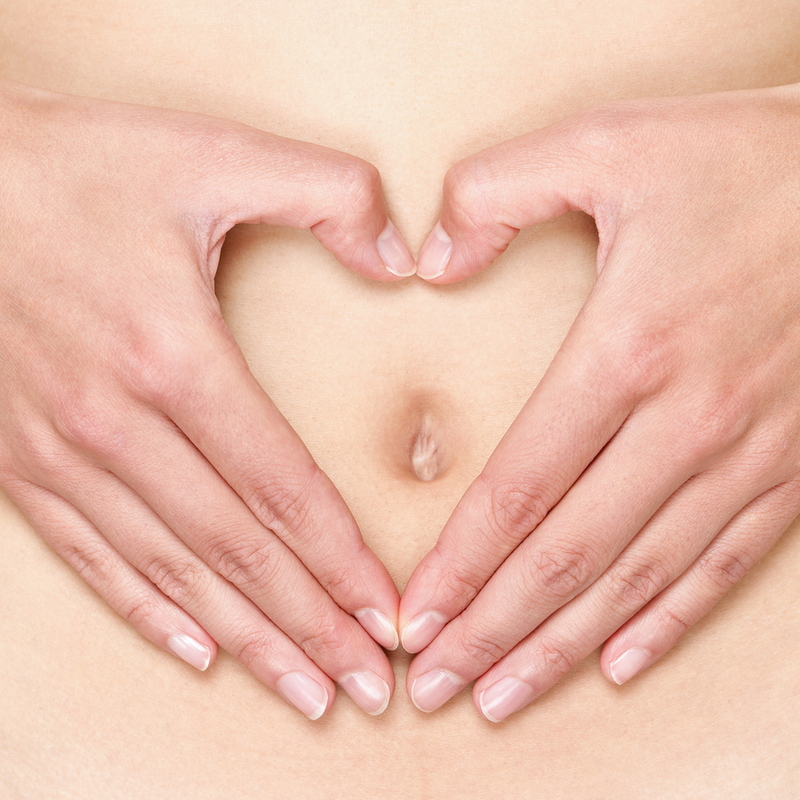 If you have a specific gut issue, come and see me so we can discuss more specific solutions. Eat a balanced diet with lots of organic foods A study in Clinical and Experimental Allergy found that eating organic foods during pregnancy changes the gut flora of the baby for the better. It makes sense that eating organic foods throughout your adult life would be beneficial as well, but if you can’t afford to do that, don’t worry. Eating a balanced diet that’s rich in fruits, veggies and fibre is the best thing you can do for your gut. Your long-term diet has a much larger impact on gut health than short-term changes. Focus on eating a nutritious diet you can sustain for life. Remember it’s a lifestyle change, not a diet! Eat more fibre You need fibre for proper nutrient absorption. Fibre can’t help flush out bad bacteria from your gut, but it can help prevent overgrowth of bad bacteria. It also absorbs toxins and carcinogens and helps carry them out of the body, so eating more fibre can help reduce your health risk of many diseases including cancer. Eating veggies is one of the best ways to up your fibre count, with celery, carrots and gorgeous greens topping the list. Limit antibiotics Nothing has a faster, more dramatic effect on gut flora than antibiotics. Yes, there are times when antibiotic use is necessary, but excessive overuse of these may be causing serious long-term consequences that not only affect our individual health but they may even be causing permanent changes to the our gut flora. Eat what your ancestors ate One of my favourite quotes is from Michael Pollan “If your Grandmother wouldn’t eat it, you shouldn’t eat it.” If you try to live your life this way as much as possible you will be on the right track. Our bodies appear to like what our parents and Grandparents ate, meaning they probably wouldn’t be able to digest all the processed foods and chemicals that are relatively new to the human diet. Keep it simple and just eat real food! Check out this gut healthy recipe it is in one word beautiful. It’s earthy and satisfying, and made with local and seasonal ingredients, making it ideal for raw food eating in the fall and winter months. It’s also one of my favourite recipes from my 14 Day Eat Real Food Cleanse. Place all ingredients in a bowl and enjoy! Anthocyanin 102,700 Aids in weight loss.High in omega 3, more protein than an egg. Acai oil promotes skin health. Available in juice, but check the label! Acai should be the first ingredient. Polyphenols and flavanoids 55,653 Heart health,positive mood,regulates blood pressure. Aim for at least 60% cocoa in your chocolate bar and only have a couple squares at a time. Flavanoids, ellagic acid, vitamin E, beta-carotene, lutein and zea-xanthin 17,940 Promotes healthy cell growth and reduces inflammation. Increases immunity. Eat them raw (natural) on salads, cereal or on their own as a snack. Tannins 7,282 Boosts metabolism which aids in weight loss, reduces inflammation, high in iron (anemia). Pre-soak lentils, for ease of cooking as well as reducing gas producing compounds. Quercetin and a flavonoid called rutin, silymarin, caffeic acid, and ferulic acid 6,552 Lowers cholesterol, balances blood sugar, improves liver function and helps as a digestive aid. Try roasting artichokes in the oven. Lightly toss them in olive oil, balsamic vinegar and a little salt and pepper. Polyphenols anthocyanins, ellagic acid (tannin), quercetin, gallic acid, cyanidins, pelargonidins, catechins, kaempferol and salicylic acid. 5,065 High in fiber,And helps to control blood pressure. Should be consumed very quickly once fully ripe, as they mold easily. Resveratrol, quercetin, and the catechins 4,523 Reduces risk of cardiovascular disease, improves brain function. Moderation is the key; one 5 oz. glass a day is best. Flavonoids and polyphenolics(Quercetin, epicatechin, and procyanidin B2) 3,898 Resistance against infections (cold and flu),Good for digestion and weight loss. Put some natural almond butter on sliced apple, or sprinkle diced apple on cereal. Isothiocyanates,carotenoid anti-oxidants such as lutein, carotenes, zea-xanthin, crypto-xanthin, etc. 3,145 Controls cholesterol, immune modulator, anti-bacterial and anti-viral properties. Instead of using a whole wheat wrap for a sandwich use a large collard green leaf to wrap up the filling. When you are looking to boost your antioxidant profile, this should be your go-to salad. Beets and quinoa are part of a unique family of foods that contain specific nutrients that are excellent for eye health. Beets are a very good source of dietary fiber, potassium, manganese and folic acid. 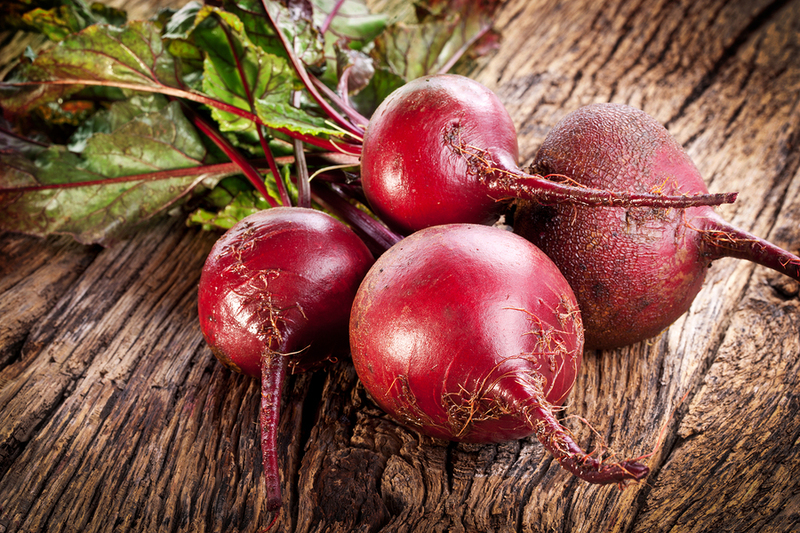 Beets are also a good source of vitamin C, zinc, copper and iron. They don’t stop there! Beets have two components that boost their antioxidant profile, polyphenols and betalains, which are getting quite a bit of medical attention as potential anti-cancer agents. Peel and dice beets into small pieces (this will be messy). Toss in oil to coat and place on baking sheet. Cook for 20 minutes. Prepare ½ cup quinoa and 1 cup water according to package directions. In one bowl mix up the dressing. Remove beets from oven and quinoa from stove top and allow to cool. Mix beets, quinoa, the rest of the ingredients and dressing together.